Emma loves dance. She started dancing age six where she studied ballet, tap and modern dance at Wilsoncentre of Dance and Drama, West Yorkshire. Emma graduated with BA (Hons) Communication and Performing Arts: Dance from the University College of Ripon and York St John in 2001. 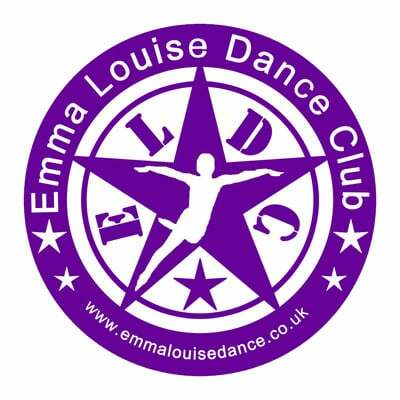 Emma opened Emma Louise Dance Club after moving to Dumfries and Galloway in 2006. She is a fully qualified dance teacher and holds Teaching Dance to Children, Level 3 qualification. Emma joined Popdance as a Premium Teacher in 2012 and is the Area Manager for Newton Stewart covering DG5, DG6, DG7, DG8 & DG9. In 2016 Emma completed Progressing Ballet Technique and Bollywood dance teacher training. Emma joined EMD UK in 2018. Emma is a DBS scheme member, has undergone Child Protection in Sport training and holds an up to date First Aid qualification. She is an experienced, professional, dedicated dance teacher who has taught dance across the region for schools, community groups, workshops, events and children's parties. Emma is proud of Emma Louise Dance Club and enjoys sharing her love of dance with everyone she teaches. Local dancer Kelly is from Newton Stewart. She started dancing at age six when she joined a local group. Dancing gave Kelly the opportunity to express her feelings and emotions as she was quiet, shy kid. She made a lot of friends through dance and found it fun to be around people who all shared the same passion. Kelly joined Emma Louise Dance Club in 2012 as a volunteer to help with classes. She started helping with the Senior classes, firstly observing, then creating choreography and leading the class under direct supervision. Kelly's favoured dance style is street and commercial dance. Her first routine was 'Pop' by N'SYNC which she found fun to teach. In 2013 Emma mentored Kelly on a 'Youth Arts Learning Journey'. Through this experience Kelly became more confident in choreographing and teaching dance. Kelly achieved Sports Leaders UK Level 1 Award in Dance Leadership Dance in 2014 and Level 2 Certificate in Community Dance Leadership in 2016. Kelly takes Senior Ballet and Senior Show Dance classes with Emma Louise Dance Club. Kelly is a DBS scheme member and has undergone Child Protection in Sport training. She is excited to be joining Emma Louise Dance Club as an assistant dance teacher and choreographer. Kelly wants to share her passion for dance with as many people as possible.